Sterling silver necklace by Charles Loloma. Loloma Inlaid this necklace in a unique way. 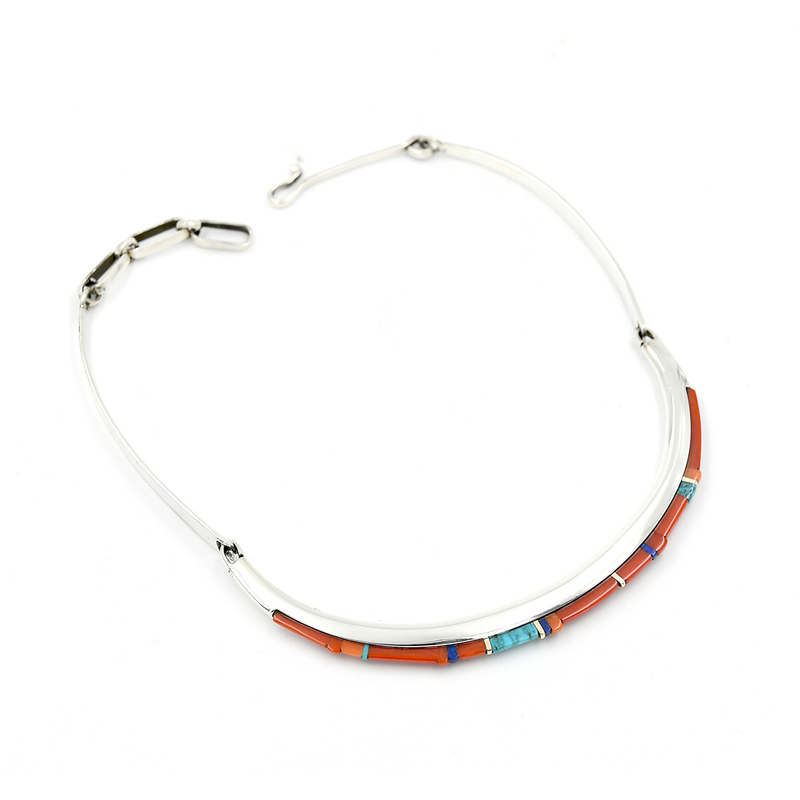 The inlay consists of coral, lapis, lone mountain turquoise, and fine line gold accents.